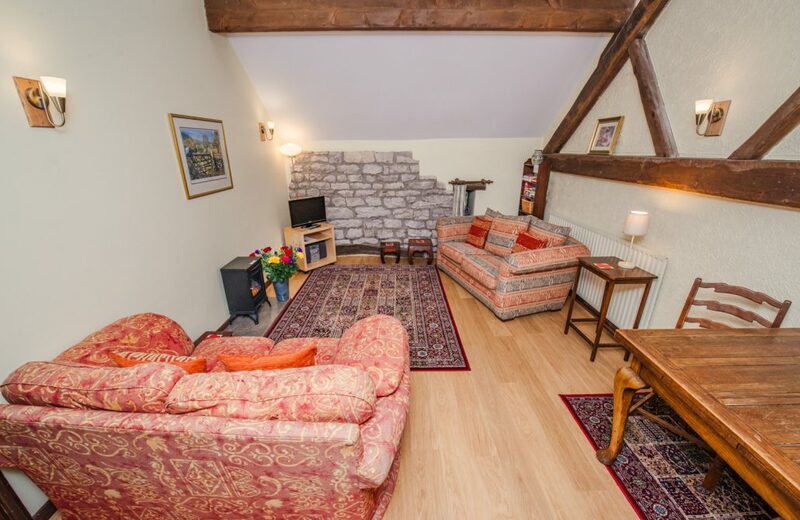 The view from this cosy hideaway overlooks fields and offers a view towards the Wye Valley at Miller’s Dale. 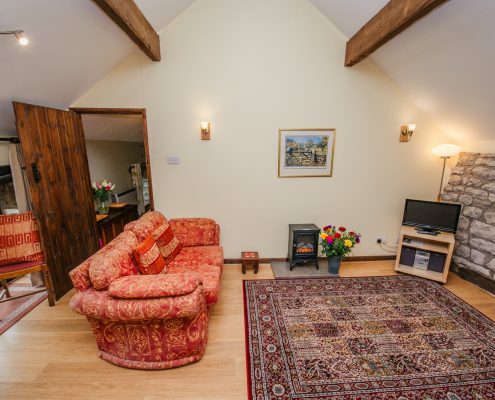 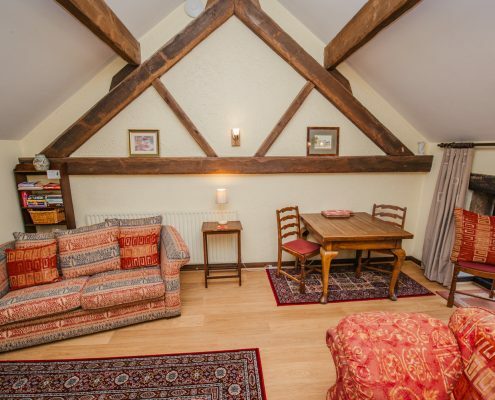 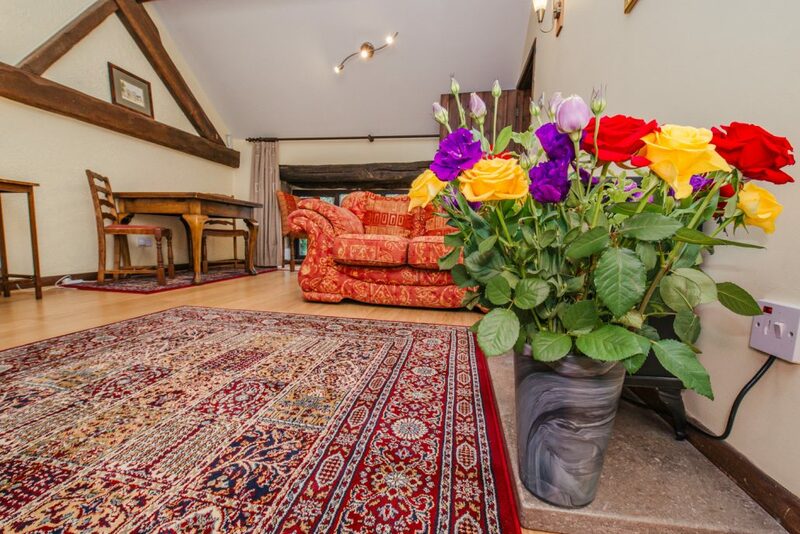 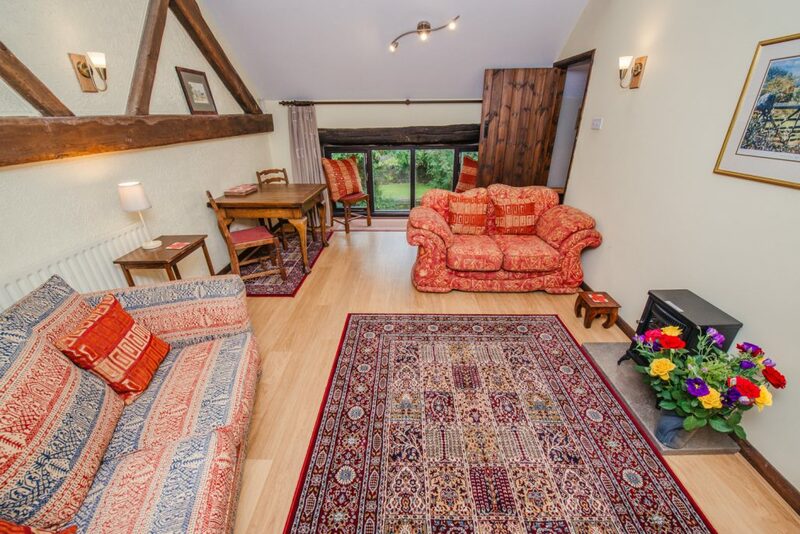 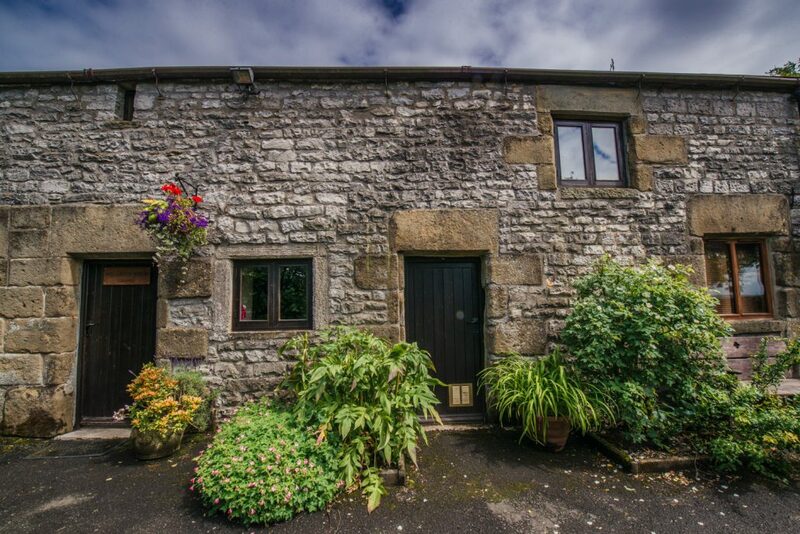 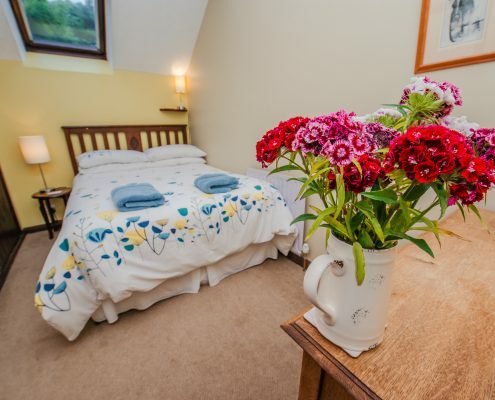 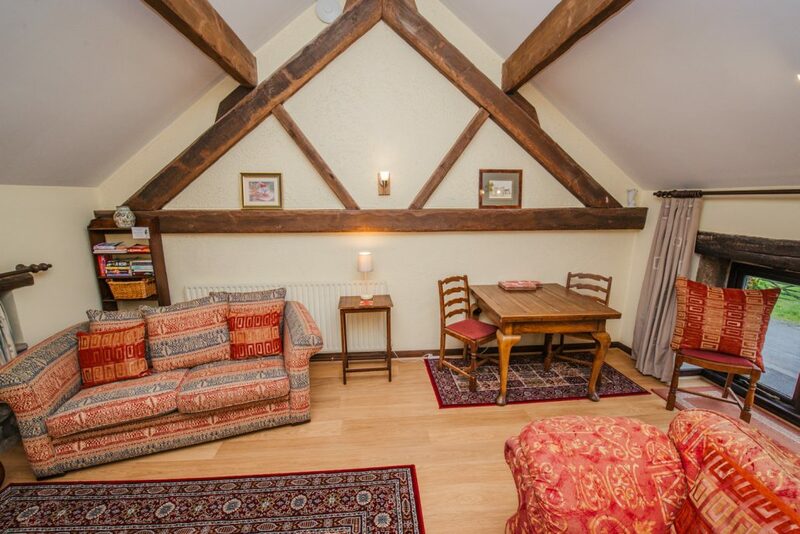 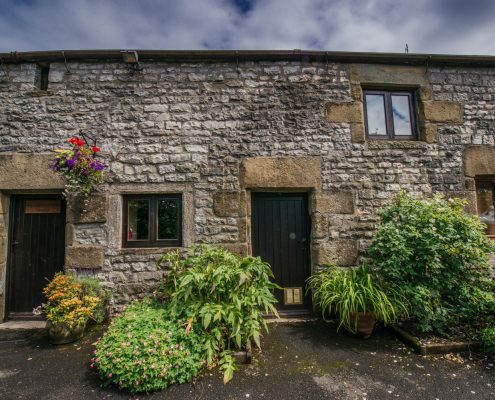 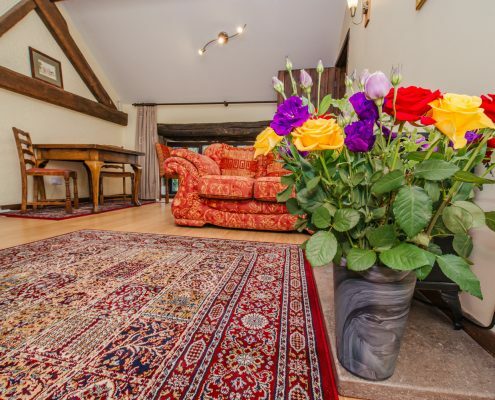 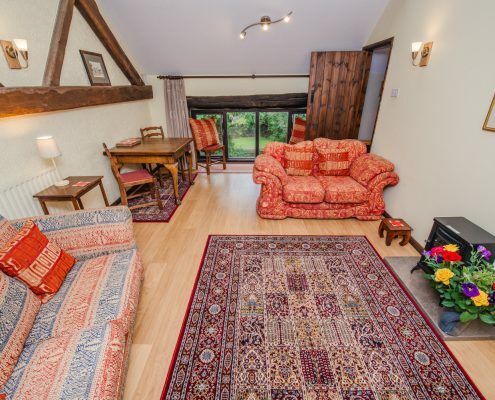 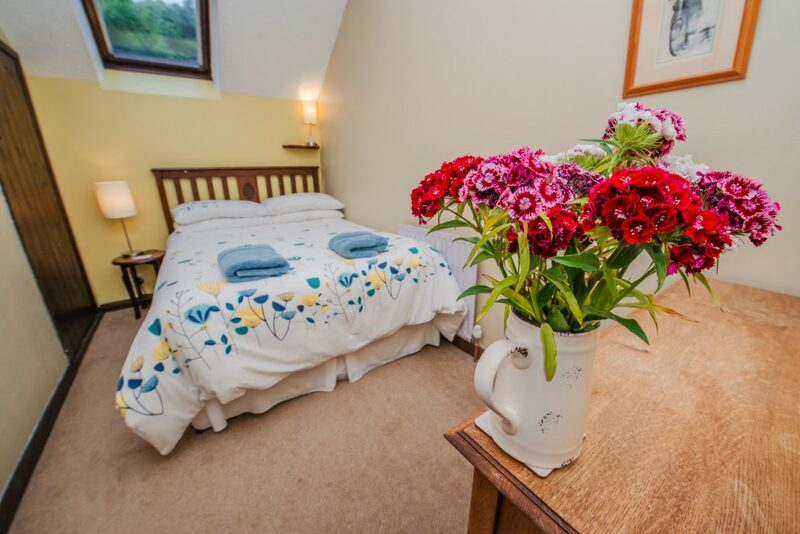 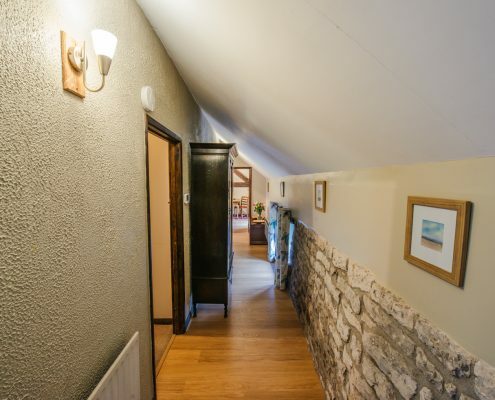 The property forms part of a stone barn conversion and is an ideal retreat for people on their own or couples looking for a romantic retreat who want the comfort of a hotel but the freedom and intimacy of their own place. 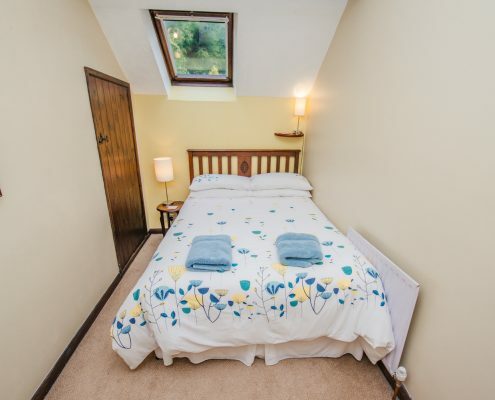 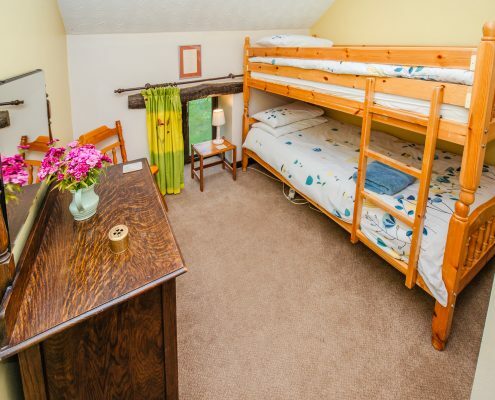 This two bedroomed first-floor apartment comprises a compact and comfortable double bedroom and a second bedroom with full-size single bunk beds. 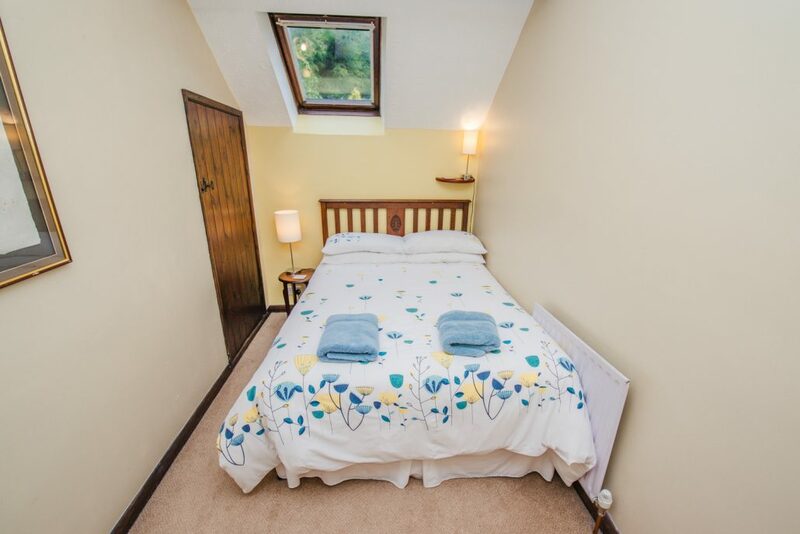 Both rooms have ample storage in wardrobes and drawers. 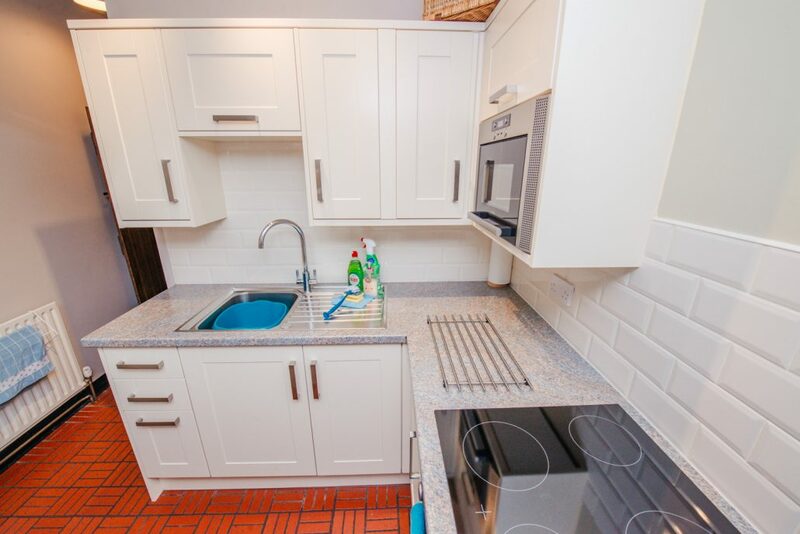 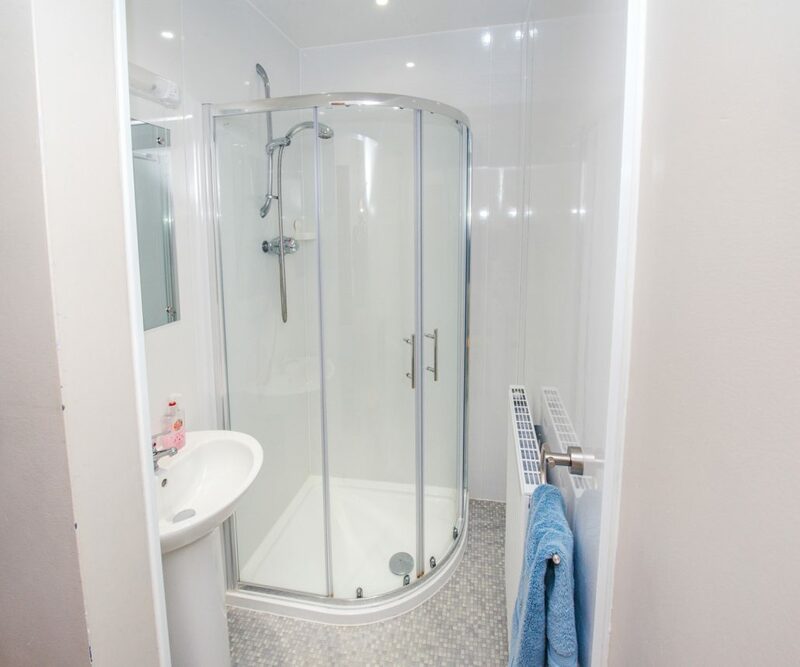 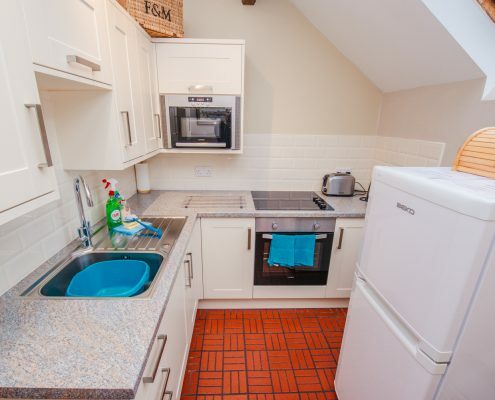 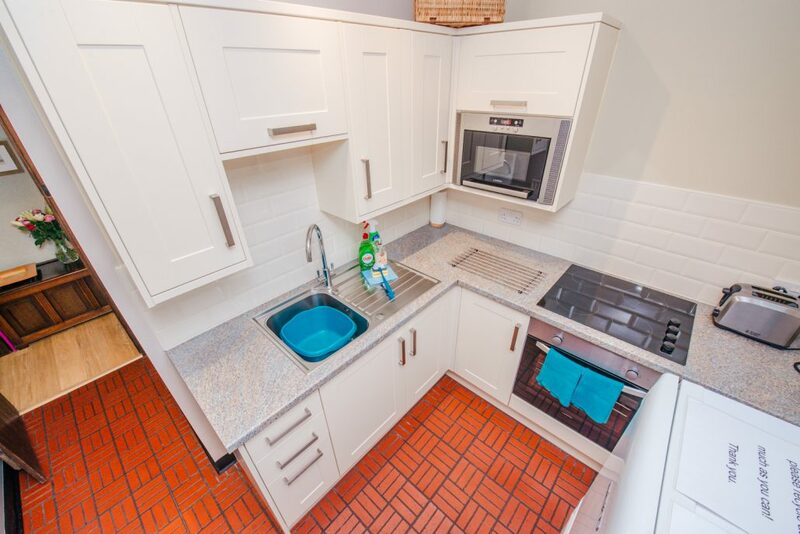 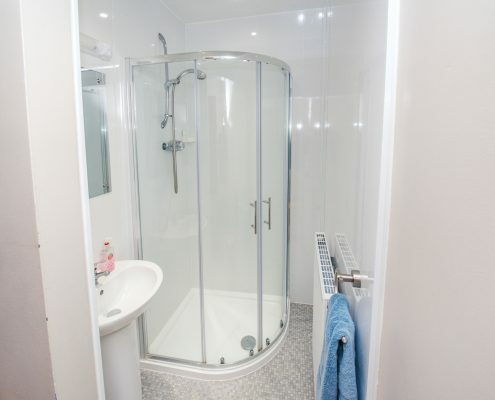 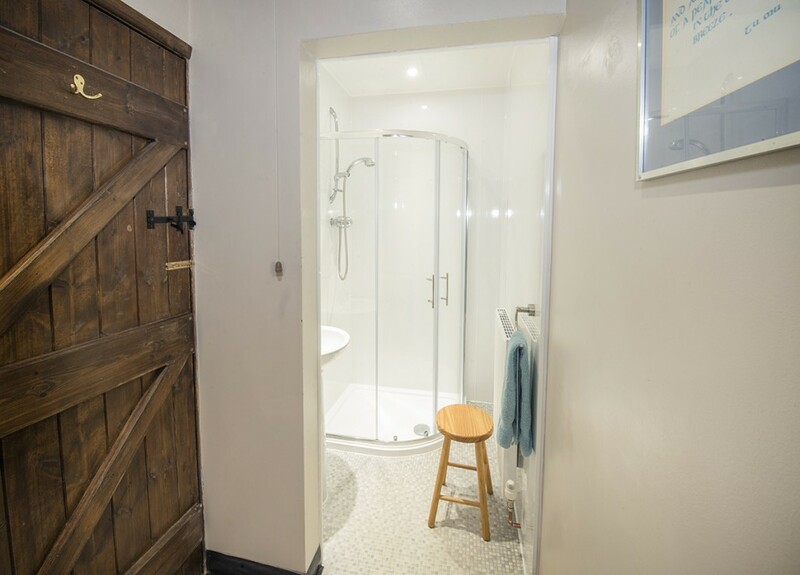 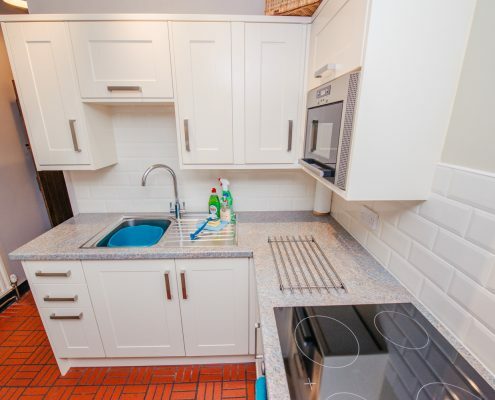 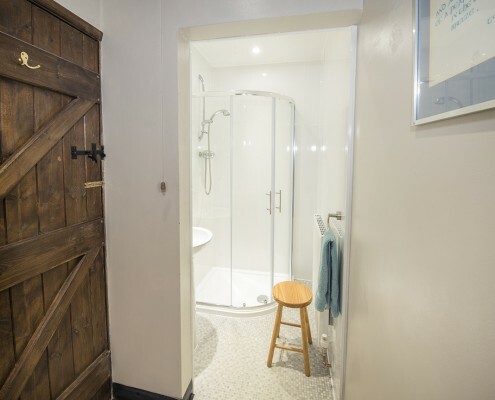 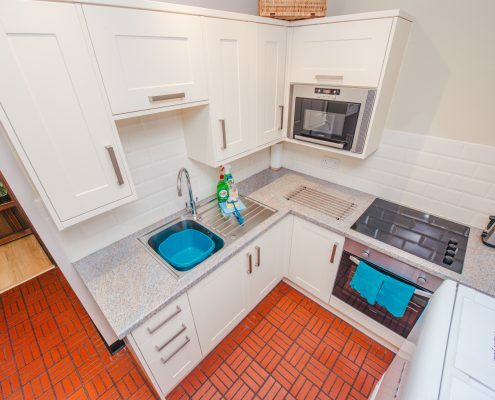 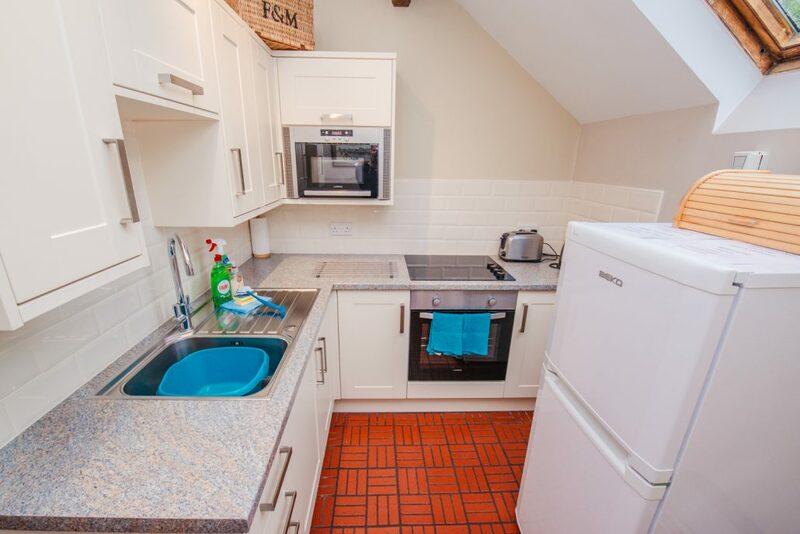 There is a shower room with large oval shower enclosure, basin and toilet and the kitchen – completely refurbished in 2016 – is fully equipped with electric hob and oven, microwave, fridge freezer and storage. 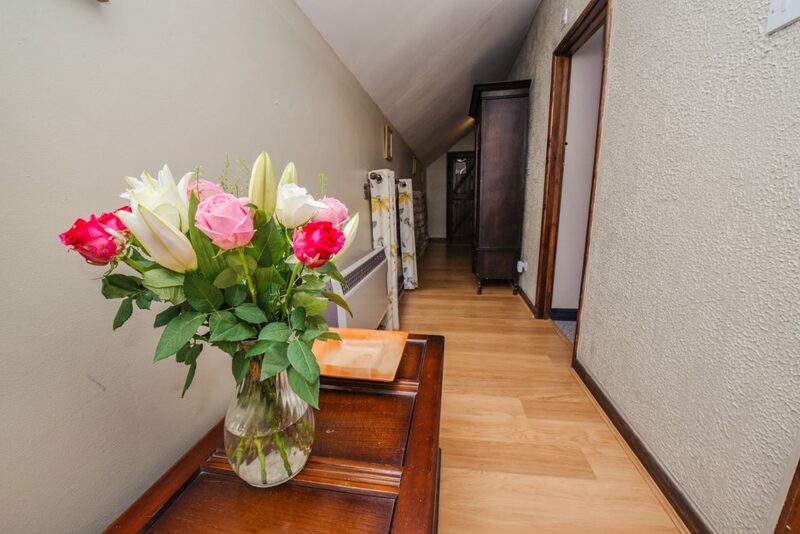 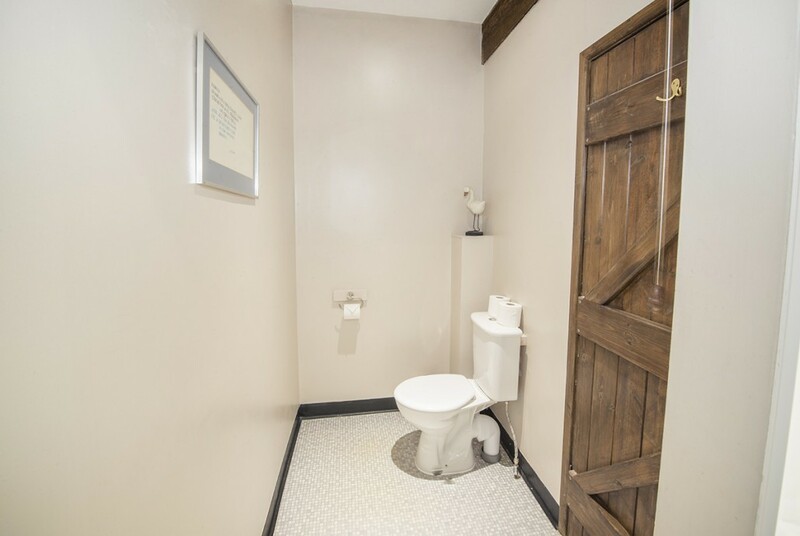 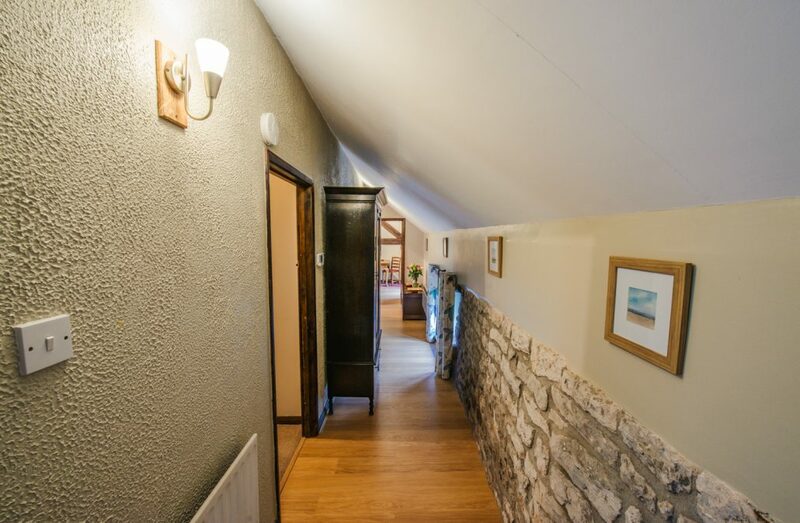 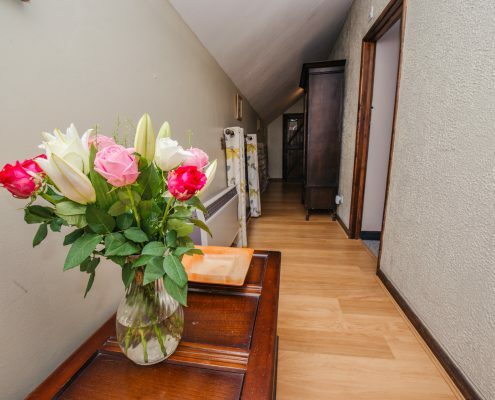 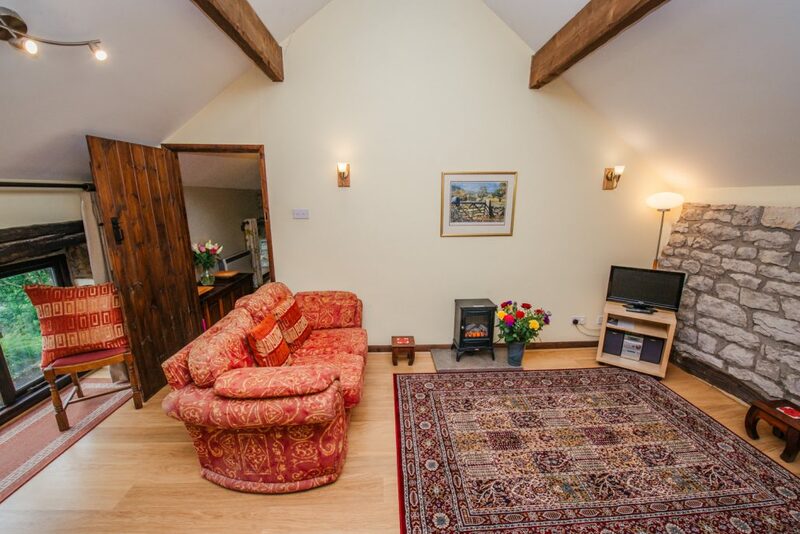 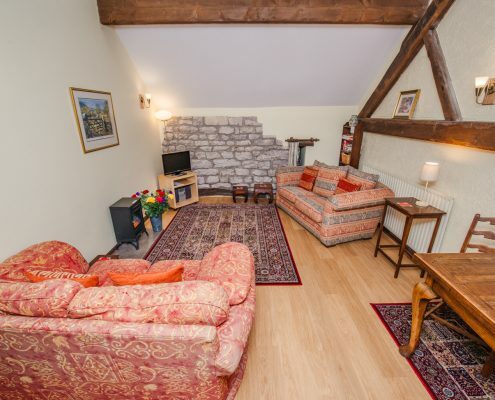 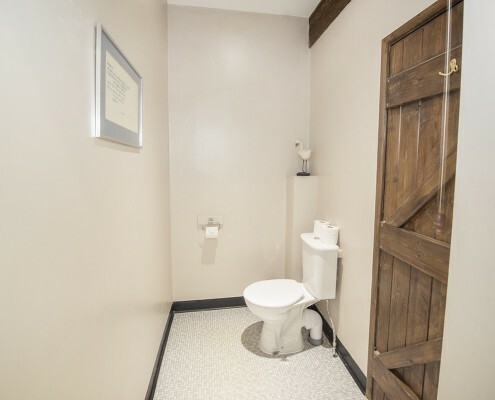 The hallway has an exposed natural stone wall leading to the comfortable and well equipped lounge dining room, furnished with two settees, a dining table for four and Freeview television with DVD player. 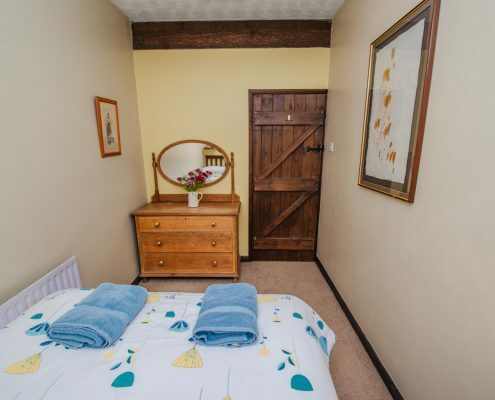 We can also lend high chairs, travel cots (please bring your own bedding) and a fold out bed; these need to be booked in advance and there is a small charge for additional beds. 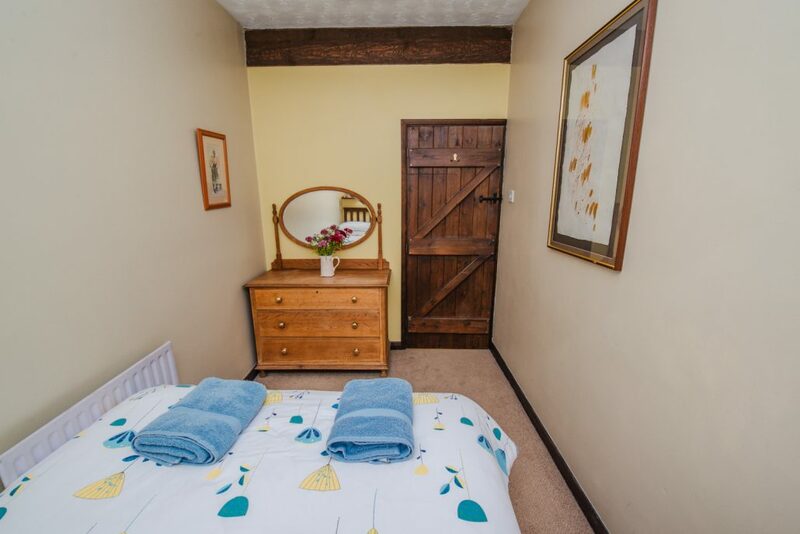 Miller’s View enjoys the benefit of full gas central heating and is an ideal getaway for mid-week breaks or long weekends throughout the year. The property is also often booked by extended families and groups in conjunction with Prince’s Seat and/or Verger’s End, so that larger parties can enjoy the days together and then have their own separate downtime in the evenings; many guests find this to be the best of both worlds.